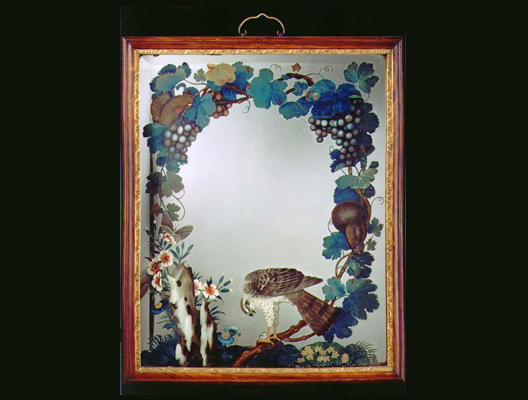 A most unusual Chinese reverse mirror painting, still retaining the original early hardwood and gilded Chinese frame, the bronze decorative hanging mount being original, the picture depicting a falcon standing on a leafy branch as the central motif, the sides decorated with leaves, butterflies, carnations and two tree squirrels eating grapes or nuts. The original mirror plate is surrounded by an early soft bevel. Height (with frame) 28 1/2in (72.5cm). 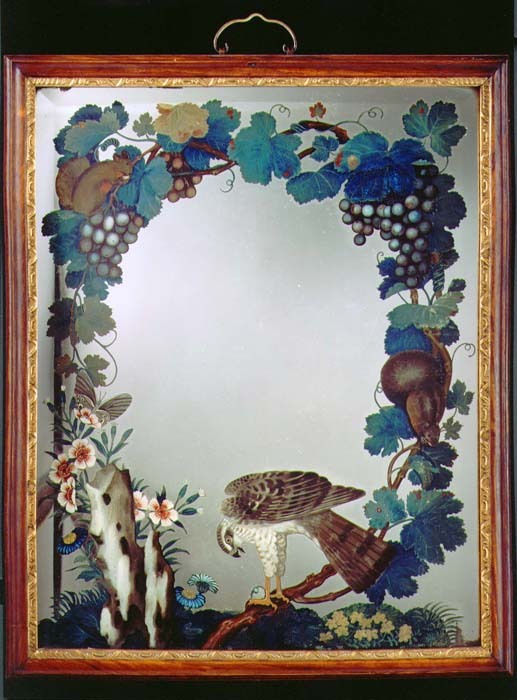 Width (with frame) 23 1/2in (59.7cm).